Mutual Funds are pools of cash and investments managed by a professional fund manager. The manager buys and sells investments that fit the fund's objectives. Each unit or share represents a fraction of every investment in the fund's portfolio. You can think of it as a 'miniature' of the mutual fund's full portfolio. As the value of the fund's portfolio changes, the value of each unit also fluctuates. Simply put, if the investments make a profit, you share that profit with everyone else in the group. If the investments lose money,everyone shares in the loss. 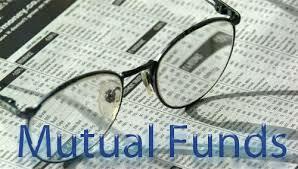 Mutual funds can be purchased with small and flexible amounts. Effective May 30, 2016, you must recieve a Fund Facts document prior to purchasing a mutual fund. The Fund Facts document provides valuable information about a mutual fund, including the performance history, investments and the costs associated with investing in a mutual fund. To learn more view the Fund Facts guide. For more information about a fund, including management fees and expenses, please request the fund's prospectus or fund fact sheet and read it carefully before investing.